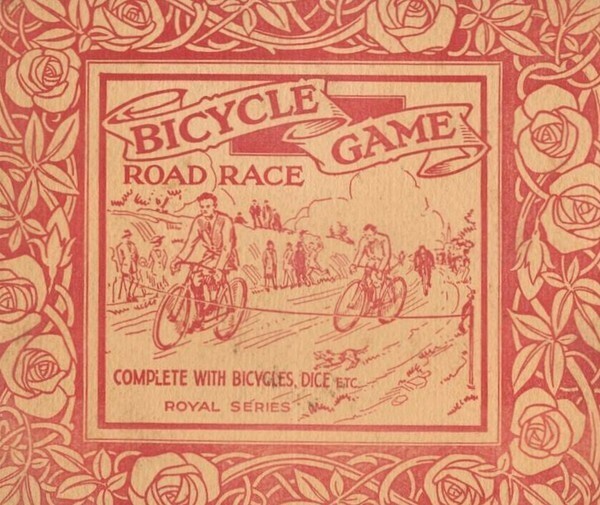 And yet another pre-WW1 English game. 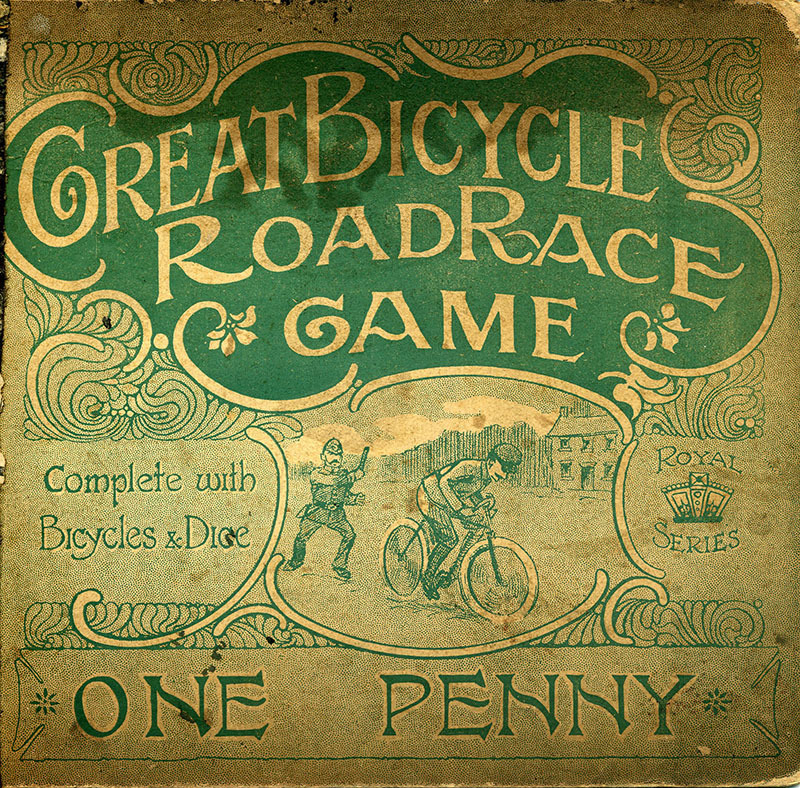 This a smaller game than, say Cyclospede, Cycling or Wheeling. The open board just measures 41 x 18.5 cms. On the board we can read "complete with bycycles, dice, etc." 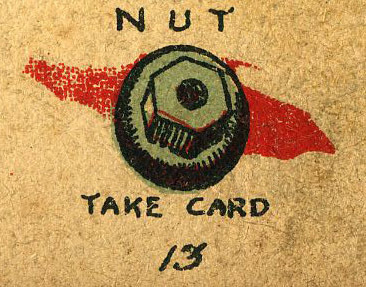 The "etc" must be some kind of cards (similar to the ones in Cycling or Wheeling), since at verious points in the board we find "take card" field for such items as screw keys, pumps, tyre repair outfits, oil cans, nuts or even refreshments. Unfortunately, I just have the board of this game. 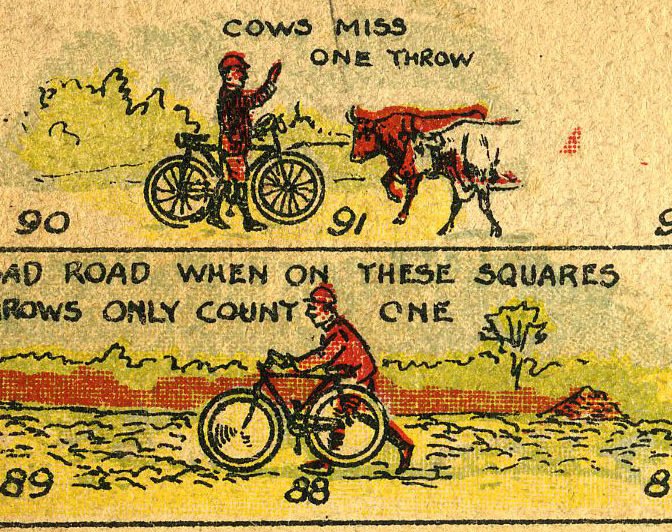 Therefore I cannot know what the cards look like or what kind of bicycles were supplied with the games. I do not even have the rules, though they are not too hard to figure. 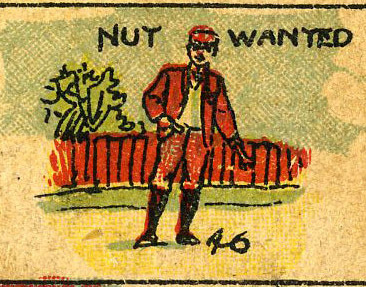 Needless to say, any further information about this game will be welcome. There is at least another presentation of this game.